In our high-speed, goal-oriented culture, we’re taught from the time we can talk that success in any and every arena is predicted by perseverance. Business magnates, military leaders, world-class athletes— they all tout the ability to “soldier on” in the face of resistance. This trait is seen as a cornerstone of any great achievement. The positive reputation of perseverance quickly loses it’s luster, however, when it comes to unwanted romantic pursuit. While we’ve all seen plenty of “guy won’t give up on girl” storylines with fairytale endings in movies and books, the reality is that most over-persistent admirers tend to make life uncomfortable for young women who don’t quite know where or how to draw the line. And though in almost all cases, overzealous suitors eventually get the message and move on—there are the rare few instances where unchecked perseverance can turn into obsession, leading to stalking, sexual assault or worse. Putting a stop to ongoing unwanted attention is —like many things —simple, but not easy. It requires that your daughter be skillful in her ability to say “no” firmly and stand her ground unflinchingly. 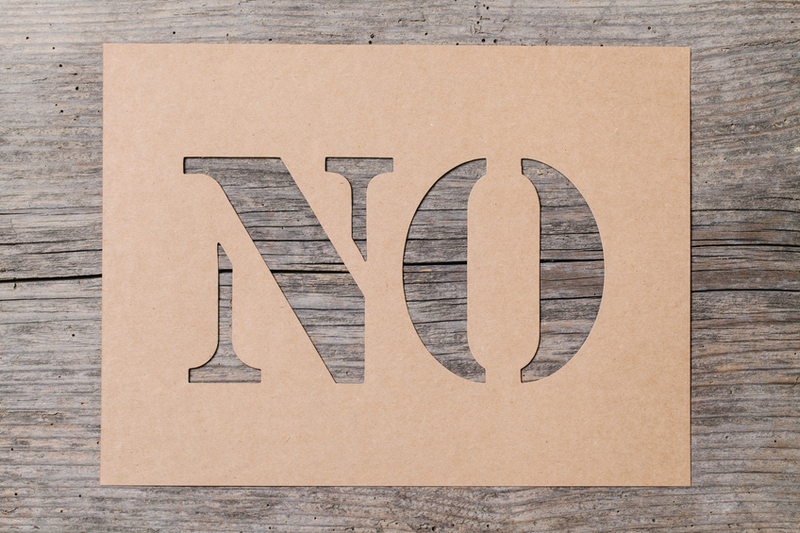 Here are three guidelines you can teach your daughter for saying “no” and making it stick. “No” in its strongest form, comes without an explanation. The point, here, is to draw the conversation to a close, not invite further discussion. Of course, there may be situations where your daughter will want to share her reasoning, and that’s fine, but… she should realize that her no, by itself, is quite enough and she should feel no obligation to elaborate further. When it comes to refusing unwanted attention, help your daughter understand that she is delivering a unilateral decision—not engaging in an argument or a negotiation. To strengthen the clarity of her position she can say simply that… she has made her decision… it is final… and she will not change her mind. With this degree of clarity, she leaves little room for misunderstanding. Ideally, she’ll get the message across the first time—having to say it only once. Sometimes, however, once isn’t enough. If he refuses to hear her no, the first time, she should repeat it. If he continues to ignore her, explain that the best thing she can do is end the conversation and walk away. Situation #1 – She’s being hit on by a guy she has no interest in. Tell your daughter that if a guy hits on her and she’s not interested, she should say so, in polite but clear terms. Her communication should leave no room for errant interpretation. By letting him know right up front, in no uncertain terms that she’s “just not that into him,” he’ll likely move on and she’ll be able to enjoy the rest of her evening (week, month, semester) without having to constantly shoo him away. Situation #2 – She’s being asked to go someplace private. As long as she’s around other people she’s safe. The moment she’s isolated, she becomes vulnerable. 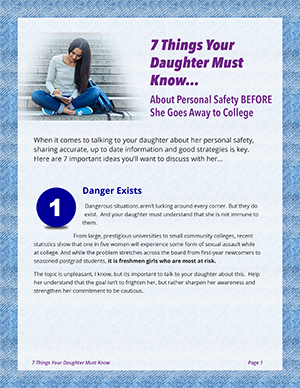 This awareness is critical for your daughter to understand. So the rule is: If she’s not sure of the person she’s with, the request for more privacy should always be refused. Situation #3 – She’s being pursued following a break-up. This is where a heartbroken “ex” can become a mere nuisance or in the extreme case— a stalker. If he’s unwilling to let go, your daughter must make it unmistakably clear that she’s finished with him. If he continues to pursue her, she must take more severe measures and cut off all communication with him. This is the most effective way to end a potential stalking scenario before it has a chance to begin. Note, by the way, that I am not suggesting your daughter be callous or unkind. I’m saying that having the ability to set boundaries and express herself assertively when the situation warrants it is an important and powerful skill for her to have—not only in self-defense– but in all aspects of her life. This entry was posted in Safe Living on November 4, 2016 by Brad Michaels.